Betta Fish is also known as the Fighting Fish and is one of the most popular pets because of its relatively easy colors and care. Here are some guidelines to keep it healthy. The fighting fish adapts easily to different environments and will surprise you every day with its spectacular shapes and movements. If you want to know everything about the care of fish fighters or betta fish, read this article from myfriendlypets. If you want to offer an environment similar to its natural habitat, you should know that the Betta fish is native to Thailand and lives in shallow waters such as rice paddies. They go out with some regularity to get fresh air, for this reason, it will not be necessary to use a filter or aeration system. A single male or female fish: In this case, all you need is a 20-liter aquarium. Several females: You can try to gather several females in the same aquarium, but they must be at least three to establish a hierarchy. Although it is less likely that in the case of males, females can tackle each other, in this case, you must have an additional tank to separate them. To improve their chances of survival you can take at the same time different females (sisters) who have lived together since small. 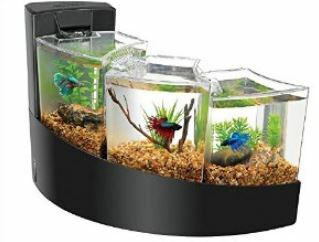 Use an aquarium of at least 30 or 40 liters. One male and three females: In this case, you must be careful with the attacks that females may have between them, follow the tips described in the previous section. Use a 40-liter aquarium to prevent attacks and provide different hiding places in case they need a shelter. Betta fish in the community: We remind you that the Betta fish or fighter is an aggressive fish by nature, and for this reason, you will need an aquarium of at least 100 liters full of hiding places to integrate it into a community. The community of different fish: You must know the different types of cold water fish before joining them to prevent attacks and aggression. It is important that the aquarium has a capacity of at least 100 liters and various hiding places. The pearl gouramis are a good choice. You should never put two or more very aggressive males with each other because one will end up harming the other. It is important that the aquarium is covered on the top as they tend to jump. Try to use water without chlorine or renew it every 7 days, changing half of the water is enough. Sand or gravel: It is best to use those that have a soft, fine texture so as not to disturb your fish when they swim. In addition, it must have a minimum thickness of at least 2 centimeters. Plants: Always use natural plants to prevent the tail of your pet from getting stuck. We recommend waterweed dense, the duckweed, the sword of water or bamboo. Check out the store where you bought your Betta fish to see which plants are available and select them according to your taste. You will be surprised at how much it can promote his well-being. Rocks: Try to minimize the use of rocks and other elements that can damage the fins of your Betta fish. Two or three elements of this type will be sufficient. On the market, you will find all kinds of objects, small pirate ships, buddhas or dragons. Lighting: A trick to beautify the environment are the lighting elements of the type of aquarium Led for terrariums, available in specialty stores. Use a blue, green or lilac to highlight the decor or color of your Betta fish. It is important to regularly check your betta to make sure that they are physically fit and that they have not been injured by rubbing on the aquarium elements or fighting with other fish. In the wild betta fish feed on small insects that are found between plants or at the bottom of rivers and even though it is an omnivorous fish, the Betta prefers to eat as if it were a carnivore. Zooplankton, mosquito larvae and various insects are its weakness. On the market, you will find specific foods for betta, flakes, granules or marbles. You will have to give him a pinch of it two or three times a day. You can also offer him a more varied diet, including mosquito larvae, tubifex worms, grindal worm, artemia etc. It is live food also available in frozen food stores. 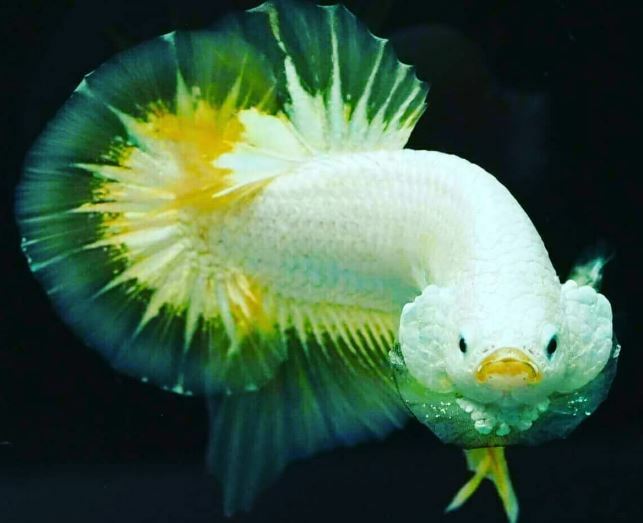 The food has a direct impact on the health and appearance of the betta, which will be more beautiful, more active and more dynamic after receiving dietary supplements. Finally and as we have already mentioned, it is important that you observe the daily behavior and physical condition of your fish to ensure that it is stable and healthy. Well cared for, they can live up to 5 years, a number unthinkable in nature.